The Camino de Santiago fitness guide gives the reader workout routines, useful exercises and a step by step workout plan for your next walking adventure. How do you prepare for one of the longest walks of your life? Use our FREE EBOOK to get some tips. If you are planning a walking trip on the Camino de Santiago or any of the surrounding walking routes leading to the famous Cathedral you will need to be physically and mentally prepared. Working with fitness professionals we have designed a 6 month training plan. This fitness programme is designed for anyone who is preparing for a long distance hike, trekking tours, walking across different terrains and people interested in healthy living. The ebook also covers stretching techniques, nutrition, tips on how to avoid injury ad what to wear along with a host of other useful information. 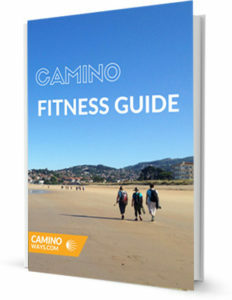 * By downloading your free Camino fitness guide you are agreeing to receive the CaminoWays.com newsletter.